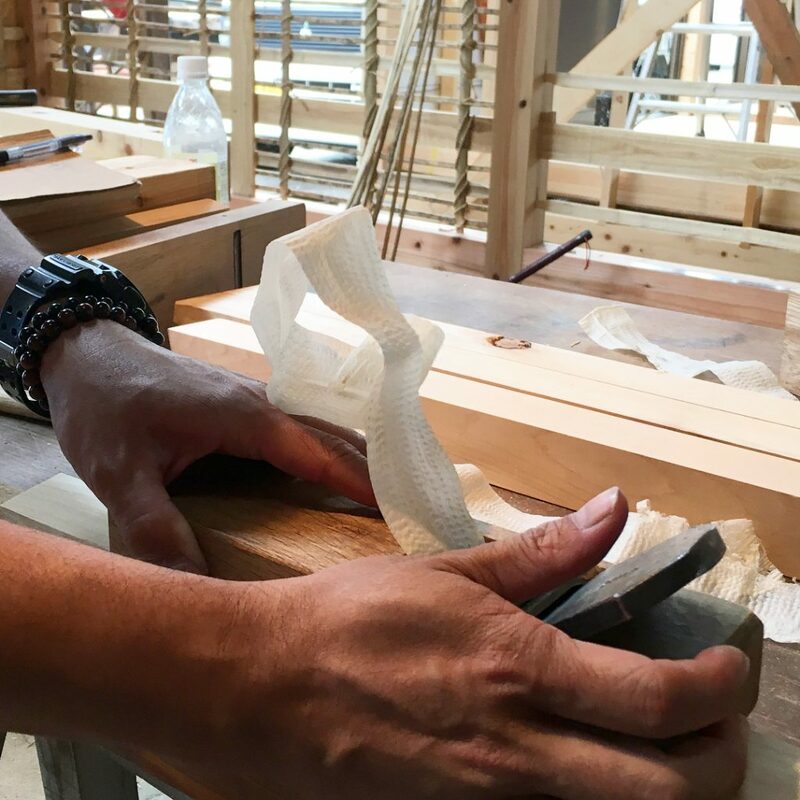 Handsome & Co. | Make a Japanese Plane with Suikoushya Carpentry Company. 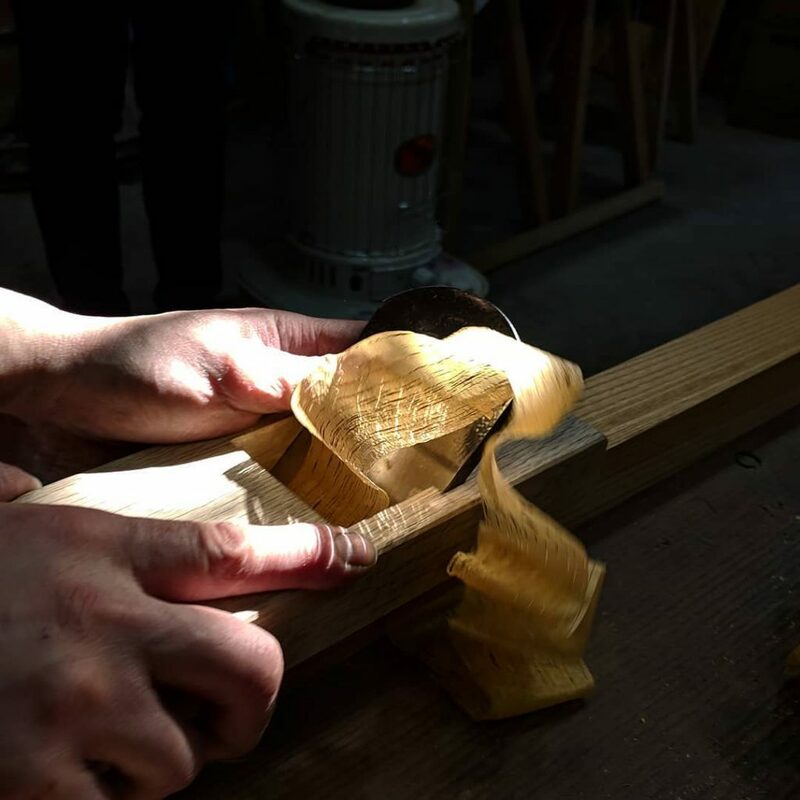 Over the past few years there has been a growing interest in Japanese woodworking all over the world, but sometimes a shortage of knowledge on how to use them. We’ve all seen Japanese planes taking super-fine shavings somewhere on the internet, but knowing how to do it yourself is a different story. 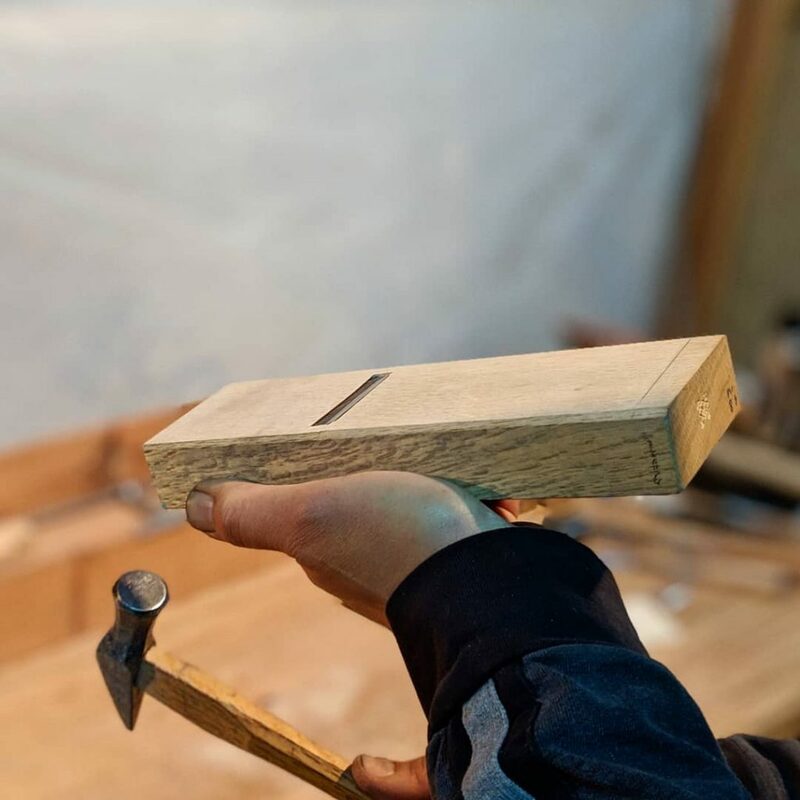 In late April/ early May we will be hosting the master-craftsmen of Suikoushya carpentry company for a fantastic three-day workshop on Japanese tools. 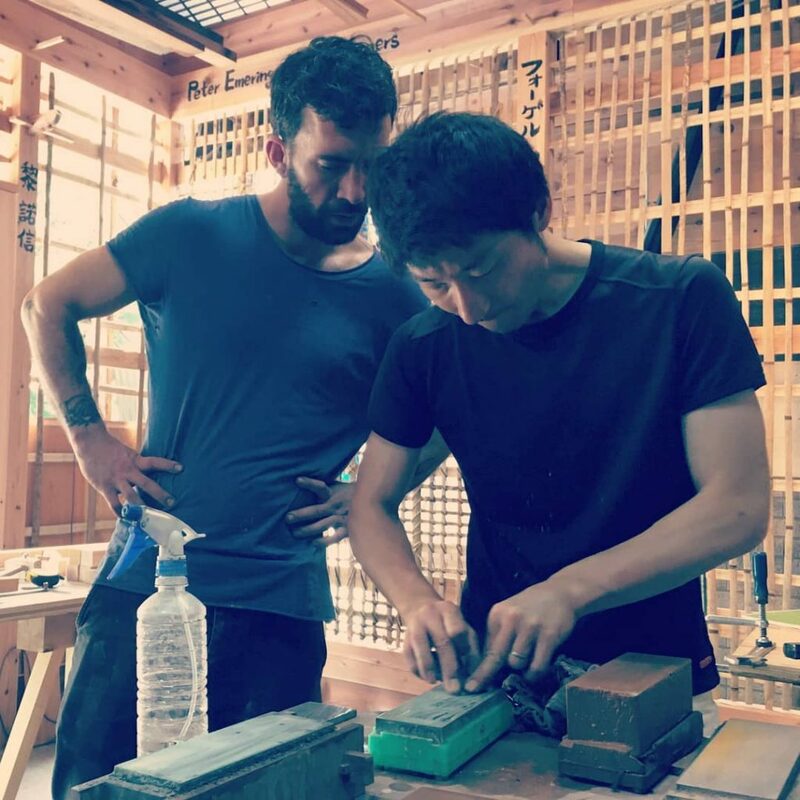 Takami and Dylan are working carpenters based in Kyoto who exclusively work on structures using traditional Japanese joinery and methods. 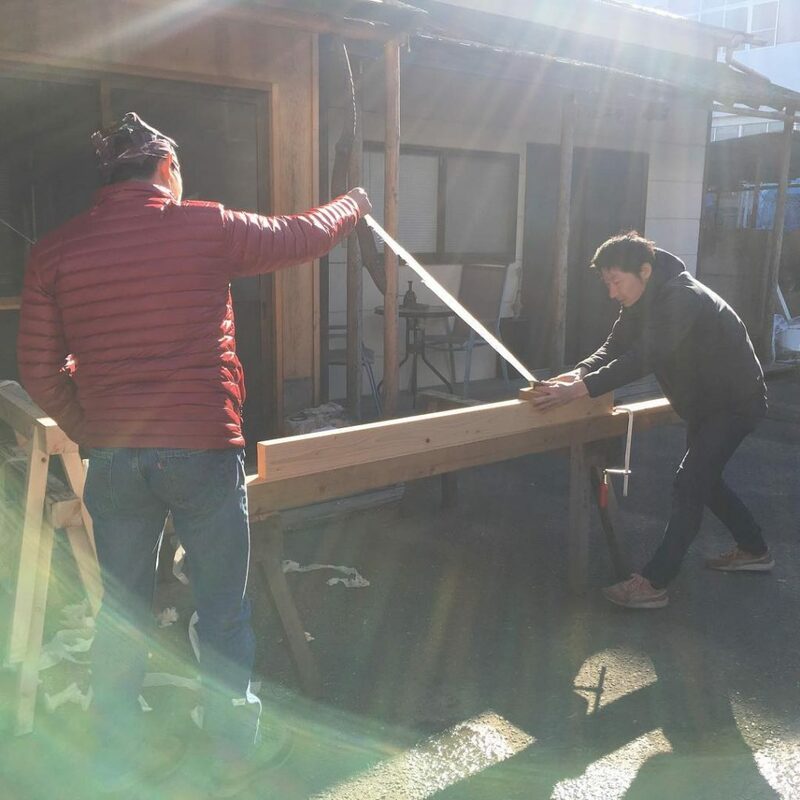 They also run an English-language carpentry school from their Kyoto workshop where students can attend their month-long intensive short course. 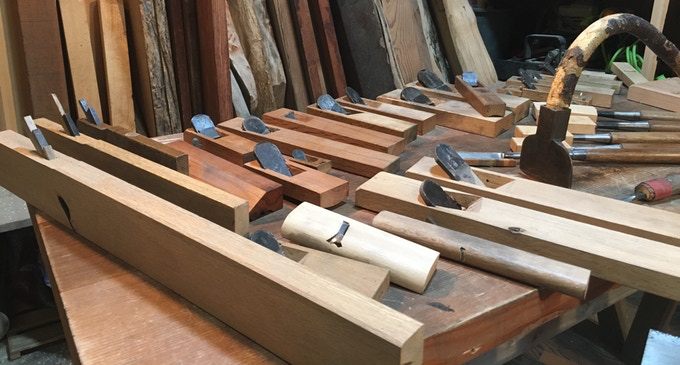 During their three-day workshop at Handsome and Co, Takami and Dylan will introduce their students to a full range of tools that they use in the course of their work. Students are then shown the fundamentals of waterstone sharpening and given two high-quality tools that they will tune and take home after the course – a 24mm chisel and 70mm plane blade, both forged by well known smiths. 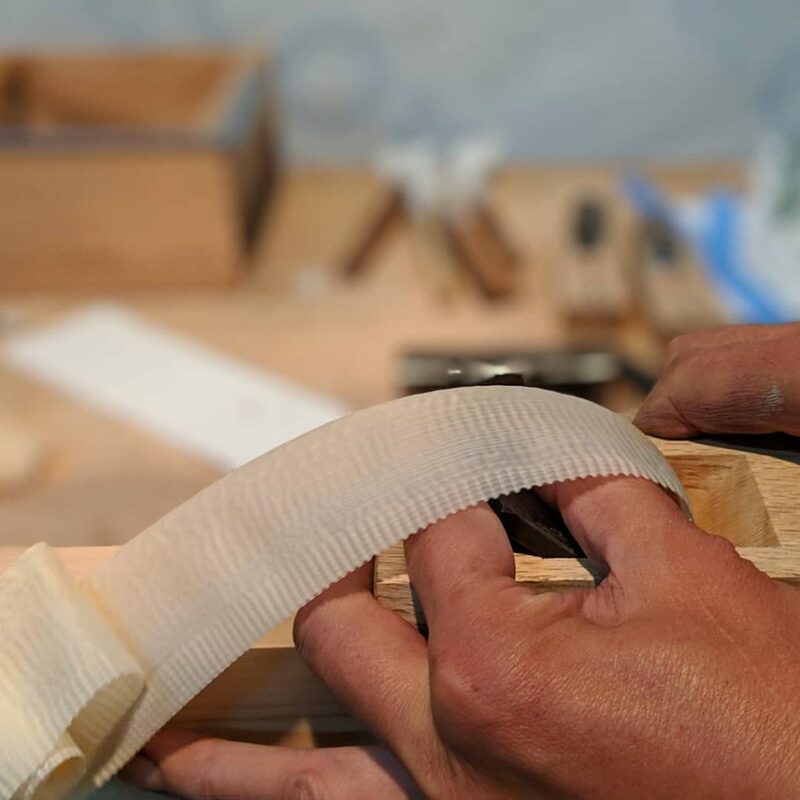 Once their chisel is tuned and sharpened on the first afternoon, students spend the second and third days making their very own Japanese plane to suit the blade that they have been given. Throughout this process students learn the fundamentals of Japanese planes and plane blade sharpening. Japanese Tools Australia are hosting Takami and Dylan while theyre in Australia. Spots are secureable with a $200 deposit via the Japanese Tools Australia website. Includes: Chisel and plane blade, all materials, lunch each day.